This statistic shows the number of participants in home gym exercise in the United States from 2006 to 2013. In 2012, the number of participants (aged six years and older) in home gym exercise amounted to approximately 25.4 million. The number of participants in home gym exercise in the United States fell slightly from 26.69 million in 2006 down to 25.51 million in 2013. Special equipment, for example cross trainers, exercise bikes and benches, is needed to start home exercise. One of the most expensive pieces of home gym equipment is a multi-purpose home gym. Multi-purpose home gyms are benches with various functions that combine numerous ways to train the body. 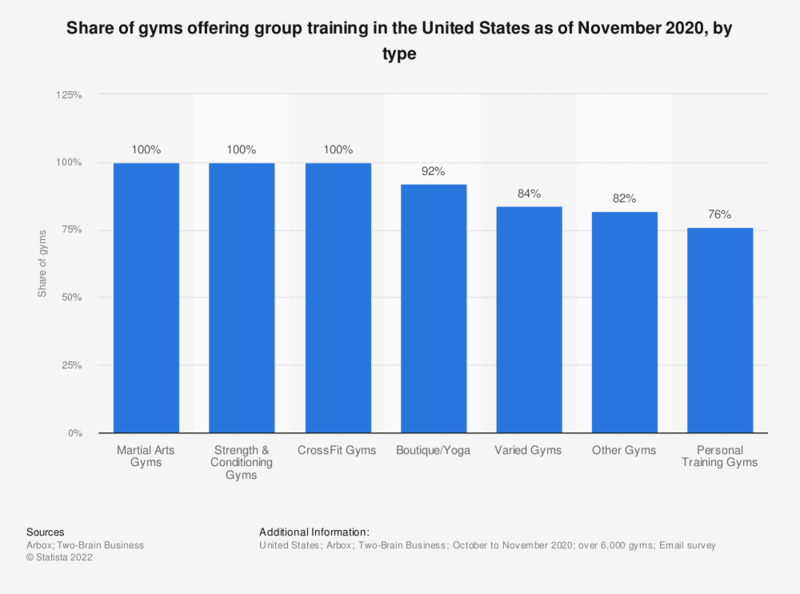 In 2013, the average retail price of a multi-purpose home gym amounted to around 636 U.S. dollars in the United States. In terms of other sports equipment prices, billiard/pool tables were the most expensive sporting goods. To purchase a billiard or pool table, consumers had to spend around 760 U.S. dollars in 2013. Recent statistics show that the number of health clubs and fitness centers in the United States increased from 29,750 in 2009 to 32,150 in 2013. Globally, the United States is the country with the most health clubs, followed by Brazil. In addition, the number of memberships at heath clubs/fitness centers has increased since 2000 and reached a peak in 2013 with 52.9 million memberships. This positive trend can also be seen in the fitness center/health club industry revenue. Since 2000, the revenue of fitness centers/health clubs has risen steadily and amounted to 22.4 billion U.S. dollars in 2013. Number of survey participants: 40,141 (2009) / 38,742 (2010) / 38,742 (2011) / 38,172 (2012); Information on survey dates for 2006 to 2008 were not given. Figures prior to 2013 were taken from previous reports.